Shopify is the eCommerce platform that allows you to launch your site as quickly as possible and manage your sales with minimal fuss. Kayo is a Shopify partner based in Sittingbourne, Kent - we can help you make the most of the platform, optimise your conversion rate and let you watch your sales grow. Shopify is the world’s fastest growing commerce platform with over 100,000 active global retailers. Kayo is a certified Shopify partner and are experts at delivering ecommerce websites on this popular ecommerce platform. Start selling online quickly & easily, we've got packages to fit your business budget if you're just starting out and the expertise to improve and optimise your existing store if you're already up and running. 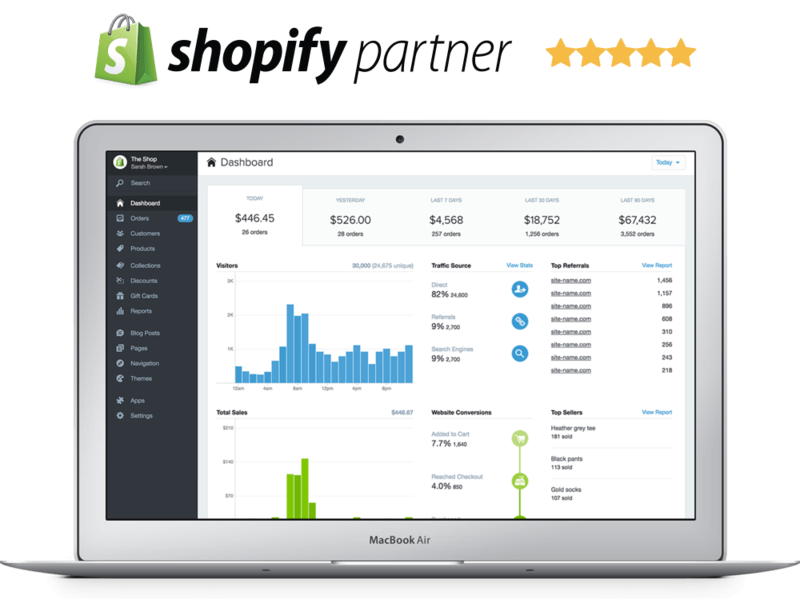 Shopify is a cloud hosted eCommerce platform which means there's no need to pay expensive third party hosting bills for your site as you would with other platforms. Shopify proudly offer unlimited bandwidth and keep your site available with a commitment to 99.98% uptime. With Shopify if you're running a promotion and expecting a surge in traffic, there's no need to worry - your Shopify store still will remain available even in peak demand. Ready to get your eCommerce project started? Our Shopify experts are on hand to help efficiently deliver a conversion focused eCommerce website for your business.